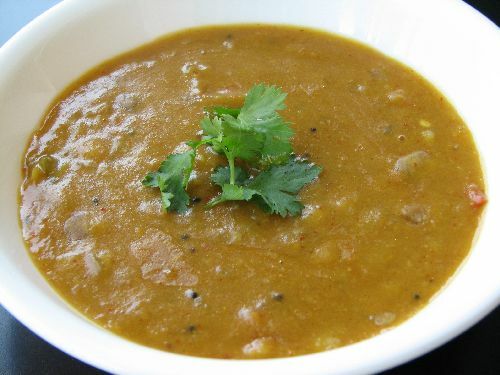 Will there be a week without dhal sambar at my house ? should be the question. I love the version of drumstick / Murungagkkai sambar. This is a common gravy served in any parties at my place. A traditional kongunadu paruppu samber. Pressure cook dhal,turmeric, 1 cup of water, oil 1tsp for 3 whistles. After the pressure is released, take out the cooked dhal and mash it. Mix little water if required and make it into a thick gravy. Cut the Vegetables. Chop onion and green chili. Soak tamarind in hot water for 30 min and Prepare 1 cup of tamarind water. Mash tomato and add with tamarind water. 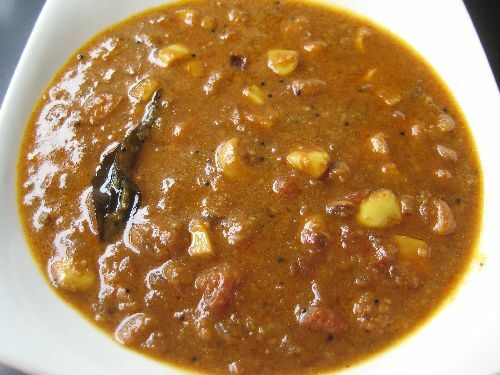 Add Vegetables , Sambar powder and salt to the tamarind tomato mix. Allow this to boil till the vegetables are cooked and the raw smell from tamarind leaves. In an another pan, heat oil, When hot add mustard. When the mustard crackles, add asefoetida, onion, red chili, green chili, curry leaves and fry till onion is golden brown. Add the dhal mix, cooked vegetable, tamarind juice and Mix well. 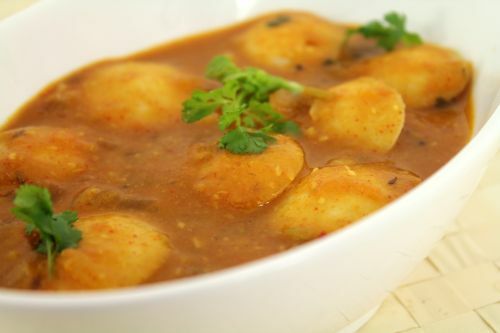 Taste for salt and If required add some and sambar powder as per ur taste. Allow it to boil for 5 min. Add chopped coriander leaves if u wish. Tempering and cooking vegetables cab be done together. But seasoning separately enhances the taste. 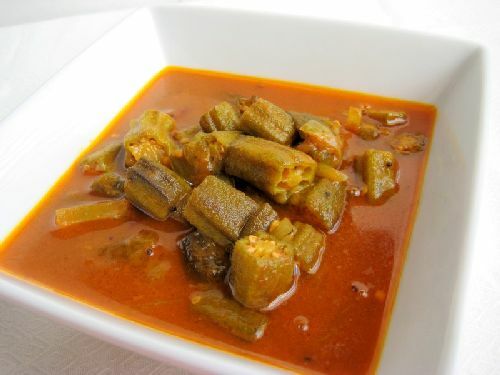 Vegetables like carrot, bean, drumstick, brinjal, raddish are commonly used. 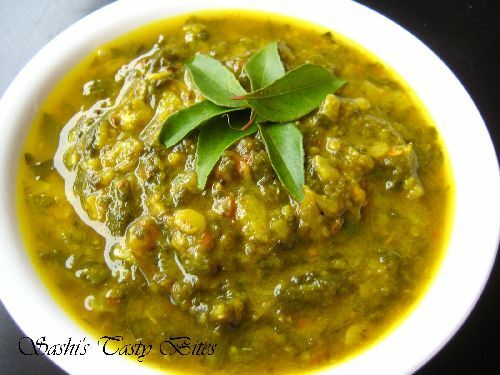 (*) This goes good with Rice, Idili, Dosa. 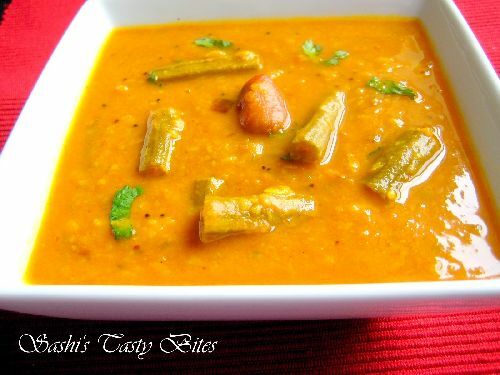 This is a very famous South Indian and Tamilnadu sambar. 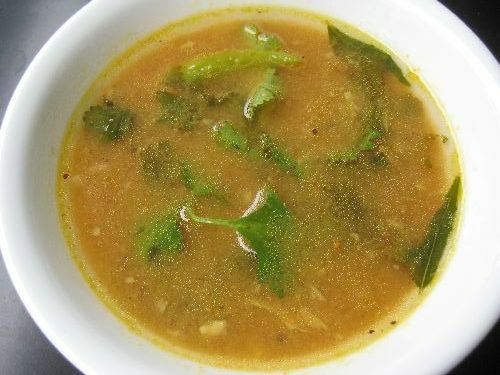 i always enjoyed ur recipes becoz it is basded on my mom’s recipes..one small suggestion to adding coconut powder in dhal sambar to make it so good and tasty..
Today i tried sambar, really, it was good. It’s different. First time to your blog. I tried your Dhal sambar today with brinjal and Chow Chow. It came out well. 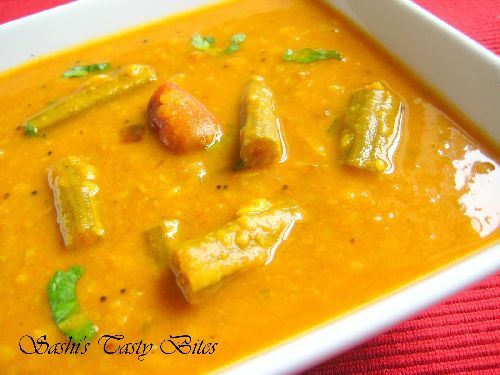 My sambar never use to taste good, but this receipe was just perfect.. Thanks Priya, happy to note that.